The next vintage of Brian's classic SSB blend has tremendous vibrancy and freshness. He has sourced the fruit for this vintage from incredible low yielding vines from the Mid North of the Margaret River, consistently rated as a world class winemaking region. Fruit driven and easy drinking, each sip is well balanced - the perfect dry white for warmer weather. The mouth-watering finish lingers on the palate and leaves you crying out for more! A glass of this dreamy drop will leave your tastebuds feeling lifted and delicately treated. 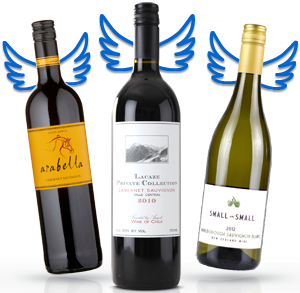 It's certainly a wine to be enjoyed while young, and why not at this steal of an Angel price! Introducing Nodus Tollens, the new premium range from our wild child of the West, Paul Nelson. First up, an exceptional White Field Blend made from Pinot Gris, Gewurztraminer and Riesling - it’s a recipe for luscious success! Each varietal was fermented separately and then blended to give you this full bodied, full flavoured, fresh and fruity white, that will put your senses into overdrive. This complex fruit-driven white highlights the Great Southern region of W.A. and showcases the sheer diversity of fruit characters that are produced from the diverse warm and cool climates contained within. One of the first Fianos to ever come out of WA! Paul has gone above and beyond the norm by fermenting in clay Amphorae - a big earthenware jug - ancient techniques meets modern! It’s rich, spicy, exotic and refreshing… and sure to put a spring in your step. With only 113 cases in existance, you'll have to get in quick. Get ready for summer in a glass! This oh-so refreshing treat from Cathy & Neil is their debut wine for Naked, and is the culmination of two lifetimes of experience in the Aussie wine industry. You will be bowled over by the luscious complexity of flavours in this maritime-climate SBS. An avalanche of lemongrass, white peach, gooseberry and sweeter citrus will all tickle your taste buds, with a textural twist to boot. With so much flavour packed in, you'll be reaching for a top-up in no time. 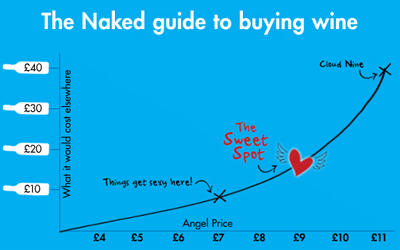 At such a friendly Angel-only price, why not pop a few in your basket? Hold on for the ride with Boots & All!